Black Friday Sneak Peek- Pattern Sales Galore! 5Berries Patterns and DressPatterns4Girls: TWO DAYS of the SALE! November 29 and November 30. Each pattern is 3.90. No coupon code is necessary. Aha Customs: Matilda Jane Lalaloopsy Pattern bundle will be on sale for $5 from November 29 - December 3. Aivilo Charlotte Designs: Save 30% off your purchase at Aivilo Charlotte Designs with the coupon code BLESSINGS. Sale runs Black Friday (11/29) through Cyber Monday (12/2). Blank Slate Patterns: 2 patterns for $10! Buy any 2 patterns regularly priced at $7.95 and use the code BLACKFRIDAY to get them for $10 total. Coupon code is good Black Friday (11/29/13) only. Fine print - Paper Patterns are excluded. 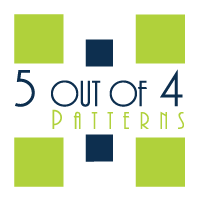 Discount on patterns priced above $7.95 will be $5.90 per two patterns. Coupon code cannot be combined with other codes, but can be used for multiple check outs. Carolina Fair Designs: Patterns from carolina fair designs are easy, computer drafted, and most are cleverly cut out with only one pattern piece! This is the biggest sale all year... so don't miss it: Save 50% from 11/29 thru 12/2 only using coupon code 'happyholidays'. Charming Doodle: I'm having a sale as well on all my patterns plus, I have opened up the Knight Hoodie pattern for pre-orders (at a crazy great price!). No code needed. Charming-Ollie: While I'm busy cooking Wednesday 11/27/13 through Cyber Monday 12/2/13, please enjoy a discount on the Charming-Ollie Craftsy store patterns. No code needed - patterns will already be marked down! Gobble, Gooble, Gobble! CHOPSTIX Patterns: Grab the super cute and comfy Ananda Pants pattern from CHOPSTIX Patterns for only $4, starting midnight on November 29th through 11:59 p.m. December 1st! The Ananda Pants pattern comes in sizes 2-10 and will quickly become your little girl's favorite pair of pants. With an easy fit and fold over waistband it's easy to see why! These pants sew up super quick and very easily… make sure you have fabric for a second and third pair on hand! Compagnie M.: Buy a Compagnie M. pattern and get a 10% discount until Friday the 29th of November (23:59 GMT +1 timezone)! Do you feel like wising both skirt patterns? Then you receive a 25% discount. Without discount code! Happy sewing! Dolls and Daydreams: Rare sale, see sale section for markdowns! Ellie Inspired: 30% off SITE-WIDE on Black Friday (11/29) until midnight on Cyber Monday (12/1)! Use code HOLIDAY for sale! (coupon not valid on discount bundles). Brand new releases included in sale! Last site-wide sale of the year! Everything Your Mama Made & More! : Join EYMM for a 1 day only Black Friday Event!!! All patterns are 25-40% off regular price making them $3.71-$13.93 (MRSP $4.95-$24.85). No coupons needed, prices as marked. Sale starts NOW & ends 11:59pm PST 11/29. BONUS: The Kenzie's Party Dress & Skirt Bundle Pack (Sizes NB-18 Tween) with the new 18" American Girl Doll pattern 2 page add on is 40% off ($24.85 value)! Fairytale Frocks and Lollipops: A "one-stop-shop" for over 50 independent e-pattern designers! Browse close to 1,000 sewing patterns to your hearts desire! Our Holiday Sales Event will take 25% OFF your entire order - use the sale code: WONDERLAND at checkout. Offer good through November 30th at Midnight (CST) --- Happy Shopping! Fairytale Pattern Designs: CHRISTMAS SALE!! Black Friday through midnight Cyber Monday. 50% off pattern sale! Hurry and stock up before the sale ends. Felicity Sewing Patterns: GET 30% OFF WHEN YOU BUY 2 or MORE PATTERNS at FELICITY SEWING PATTERNS. Sale starts 28th November --- ends 2nd December. Use the CODE ---- BF2CY30 --- BLACK FRIDAY to CYBER MONDAY. Figgys: Happy Holidays! Figgy's Patterns is offering all patterns for 20% off for one day only, Friday, November 29th! Please use code HAPPY to receive this discount! 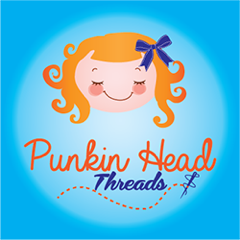 Fishsticks Designs: Fishsticks Designs is releasing three new patterns on Cyber Monday, just in time for Christmas sewing! Read all about them on the Fishsticks Blog at www.fishsticksdesigns.com/blog . All PDF and paper patterns will be discounted in the main pattern store by 25% -- no code needed -- on Monday, December 2nd only: www.fishsticksdesigns.com/patterns ! 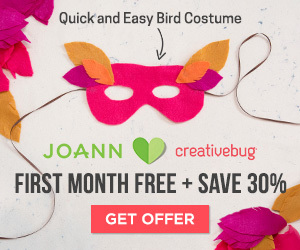 In addition, use the code "Buy4Get1" to get one free pattern when you purchase 4 of equal or greater value. Five and Ten Designs: The Five and Ten Designs Volume One eBook is discounted by 30% until Dec. 2 using coupon code GIVETHANKS. Thank you and Happy Holidays! Foofoo Threads: Foofoo Threads is having a 24 hour Black Friday buy 1 get 1 free sale! Just use the coupon code "BLACKFRIDAYBOGO" to receive your discount. Please note that you must have at least $15 dollars worth of patterns in your cart for the coupon to kick in. Also note that this deal CANNOT be combined with any other Foofoo Threads special deals or promotions, such as pattern packs or the ongoing buy 2 get 1 free deal. Sale starts 12 am 11/29 and ends at 12am 11/30, Pacific time. Get Your Crap Together: Get your family and friends organized this holiday with our HUGE Get Your Crap Together Holiday Sale! Save 20% on one pattern with code "holly20". Save 40% on 3 or more patterns using code "holly40". Check out our other great products as well! 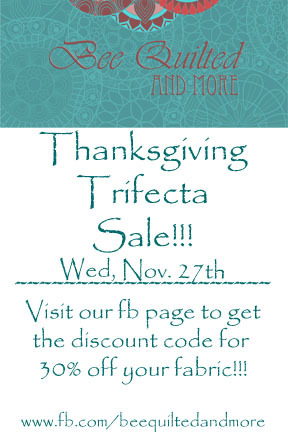 Genniewren Designs: Thanksgiving special sale. Get 30% off when you spend more than $10 at Genniewren Designs on Etsy over the Thanksgiving Holiday Weekend. Use the coupon code THANKS2013 at checkout. Valid from 28th November to 2nd December 2013. Happy Thanksgiving Everyone. If you haven't tried a Ginger Baby Pattern, now is the time. They are simple, straightforward and SEW cute! Satisfaction guaranteed. Go To Patterns: Up to 25% off sewing patterns at Go To Patterns from November 26th through December 2nd! Go To Patterns sells all types of PDF sewing patterns. Stop by to see the sale and download a FREE pattern! GreenStyle Creations: Starting 11-29-13 the first 20 customers will get 50% off all orders over $16.00 at www.greenstylecreations.com. This amazing coupon code is good for the first 20 customers only so set your alarm clocks! Customers use coupon code BF50. Hold it Right There: Just for You!! 40% off all Hold It Right There PDF bag patterns. Surprise the special people on your gift list with one-of-a-kind purses: matching girls' and doll purses, a coordinated purse for mama as well, or, put together a completely unique cross body hipster bag for your favorite fashionista! Use the 40% off coupon code JUSTFORYOU at checkout, November 28 through December 6. Jocole Patterns: Save up to 35% with Jocole's Black Friday/Cyber Monday Sale. All pdf patterns are one sale and you'll get unbelievable prices on ALL bundle packs as well. Starts November 29th (Black Friday) through December 2nd (Cyber Monday). Ends midnight PST. Use the code "PR-BlackCyber" during checkout. Kitschy Coo: Save 20% on a huge selection of funky Scandinavian knit fabrics and unique sewing patterns from Black Friday through to Cyber Monday. UK based but ships worldwide. Enter BLACKFRIDAY at checkout for 20% off storewide, from 12:01am on the 29th Nov through to 11:59pm on 2nd Dec.
Ladybug Bend: Get the newly released Tooth Fairy Pillow and everything in my shop for 40% off! Use coupon code BLACKFRIDAY40. Through Monday! Lilac Lane Patterns: 35% off everything! No coupon code required. In addition, receive free shipping with coupon code FREESHIP. The sale lasts from Monday, November 25 through Monday, December 2. Lily Bird Studio : Black Friday sale at Lily Bird Studio Etsy shop!! Get a 20% OFF on your order using the code BLACKFRIDAY20 OR use the code BLACKFRIDAY60 for a 60% OFF on orders for 30 USD or more. Only November 29th, until midnight. Little Lizard King: Little Lizard King is offering 30% off every single item in our shop! Use coupon code 2013magic from Thanksgiving Day through Cyber Monday for 30% off all items. Little Lizard King rarely offers store-wide sales, so enjoy this one while it lasts! LittleKiwisCloset: I'm offering 30% off your entire cart. Little Owl Patterns: Use the coupon code BLACKFRIDAY13 to get 30% off all patterns at Little Owl Patterns on Etsy. Sale starts Nov 29 at 10 am and ends Nov 30 at 10 am. LouBeeClothing: Use Code THANKFUL for 25% off your total order Friday 11/29 through Monday 12/2! Millie Rose Patterns: Black Friday through Cyber Monday sale at Millie Rose Patterns. Sale starts Black Friday and goes until Midnight on Cyber Monday. 4 days to save on every pattern in my shop. Use coupon code BLACKFRIDAY2013 to save 25%. Happy Holidays and happy sewing! MODKID: All MODKID PDF Patterns will be 20% off for Black Friday. Use code BFRIDAY2013 at check out. Code valid from Thursday, 11/28/13 at 12:00 p.m. CST and expires on Saturday 11/30/13 at 12:00 p.m. CST. Happy Shopping from your friends at MODKID!!! My Coco pattern, sizes 18 mos to 6 and 8-16 normally is $10.00, on sale for $7.00. My Funny Buddy: Entire shop 33% OFF, with NO coupon code needed, includes 5 pack bundles of soft toy and pillow patterns. Sale begins Thursday 8 pm (CST) through Cyber Monday, 12/2. My Little Plumcake: My Little Plumcake is excited to offer you great discounts on both Black Friday and Cyber Monday! Pattern Play: Toy and bag patterns for those who like to sew for kids. Beginning Friday at 12:01 am and until midnight Monday (11/29 - 12/2) all patterns are on sale for 20% off. Please enter code "Holiday" for your discount at checkout. Happy Holidays! Peek-a-Boo Pattern Shop: It's the biggest sale of the year! Save 25% on any purchase with the code "Jolly25"
Save 40% on purchases of 5 or more patterns with the code "Jolly40"
Petite Kids Boutique: 30% OFF all Petite Kids Boutique's patterns and that includes bundles! Sales period are from 29 Nov - 1 December 2013.Use coupon code BLACKFRI2013 upon check out. Don't miss this AWESOME deal! Pinkpoodlebows: Pink Poodle Bows sale! This sale starts Thursday the 27th at midnight and will run till midnight on Cyber Monday! 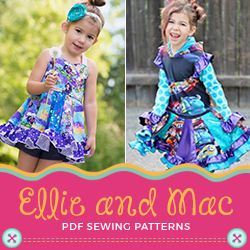 Use coupon code PINKPOODLEPATTERNS to save 25% off all PDF patterns. Sara Norris Ltd: All patterns in my shop are 25% off now through Saturday November 30. Now is a great time to start thinking and planning for your Easter and spring outfits!!! Seamingly Smitten: Happy Holidays from Seamingly Smitten sewing patterns!!! Sewing Geek Patterns: Receive 30% off your entire order at Sewing Geek Patterns all day on Black Friday! Use coupon code "Friday" at checkout. Sew Like My Mom: Sew Like My Mom is happy to announce 25% off the entire store from Black Friday through Cyber Monday! Starting at 12:01am EST, November 29th through 11:59pm EST, December 2nd. Use code SLMMBFSALE at checkout to enjoy your discount! Sew Much Ado: All Sew Much Ado PDF patterns are 25% off, Friday Nov 29 through Monday, Dec 2nd! Use coupon code BLACK25 to get your discount! Stitch and Whimsy: Both of my Cloth Tots Diaper Patterns (the sized and the One Size Pocket pattern) will be on sale for half price! Sale will start at midnight Black Friday and last for 24 hours only! 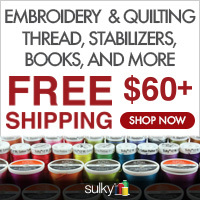 Stitchwerx Designs: Happy Birthday & Black Friday Sale at Stitchwerx Designs! It's my Birthday and Black Friday, so I'm celebrating with a Storewide Sale! Sale Dates: Tuesday November 26 through Monday, December 2, 2013. Swoon Sewing Patterns: $4 Swoon Patterns on Craftsy on Black Friday (only), no code required. Titchy Threads: Use the code BLACK20 to get 20% off the Fancy Pants Leggings from Nov 26th until Dec 2nd. This pattern is a quick sew and a great basic for winter or summer. The panel is perfect for customizing for Christmas gifts. The Cloth Parcel: All of our original quilting and sewing patterns 50% off at The Cloth Parcel! Use coupon code "blackfriday" at checkout; valid on Friday and Saturday only. All orders on our website over $50 automatically qualify for a free Lavishea lotion bar! The Handmaiden's Cottage; The Handmaiden's Cottage was inspired by the joy received from giving handmade gifts to family and friends! Please enjoy 30% off your pattern purchases and stitch up some handmade gifts for your loved ones with a little help from the Handmaiden's Cottage boutique pattern collection! Special pricing begins midnight EST on Thanksgiving Day, November 28th., 2013 and ends December 2nd., 2013 midnight EST. Happy Holidays! The Mean Princess: Sale starts 9am Cyber Monday, December 2nd, on Craftsy. 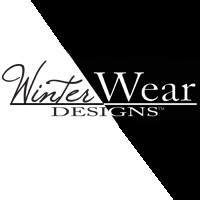 No coupon needed, all clothing patterns will be 1/2 off until 9pm the same day. ThreadCouture: Purchase quality Sewing Patterns for girl's dresses and skirts at 25% off from the designer who was featured in SEWNEWS Magazine. Sale starts November 27, 2013 and ends Dec 2, 2013. Choose from an array of Peasant dresses, A-line dresses, Tiered dresses, party dresses, Bubble dresses, Rompers and more. Use Coupon code BLACK29 to avail your discount. Tie Dye Diva Patterns: Black Friday - Deepest discount of the year! A whopping 40% everything at Tie Dye Diva Patterns. 24 hours only! Use code BLACKFRIDAY at checkout. Cyber Monday, there will be surprise flash sales and deals to be announced throughout the day, stay tuned to the Facebook fan page at www.facebook.com/tiedyedivapatterns. Tikatuly Designs: Tikatuly Designs' anniversary sale! Use the coupon code "anniversary" to grab each pattern for only $5, now through December 2nd. This is the LOWEST PRICE EVER for Tikatuly Designs patterns!!! Very Shannon: It's SALE time! All Very Shannon patterns are 25% from Black Friday (11/29) through till Cyber Monday (11/30 midnight, PST)! Patterns for the modern sewer and knitter! Includes the Sally and Sweetheart Patterns!!! Use coupon code: Thankful25 Have a wonderful holiday! 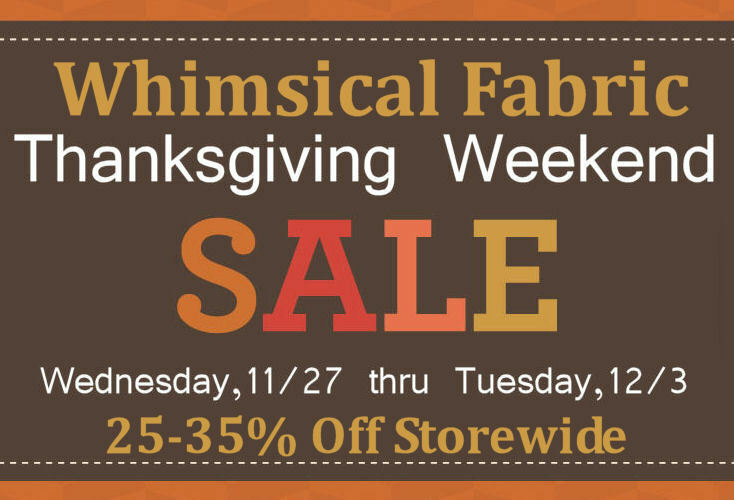 Whimsy Couture: 50% off with code PDF through Nov 30. This post is updated regularly, but add any sales you find not on our list to the comments! Click to visit Etsy Shop. Hypernoodle Fabrics PICK YOUR DEAL! Deal-A-Day Black Friday Weekend offers! 10% off everything using coupon code "thankful10" or 15% off purchases of $50 or more using coupon code "thankful15" Ends Monday.